Happy Mother's Day! 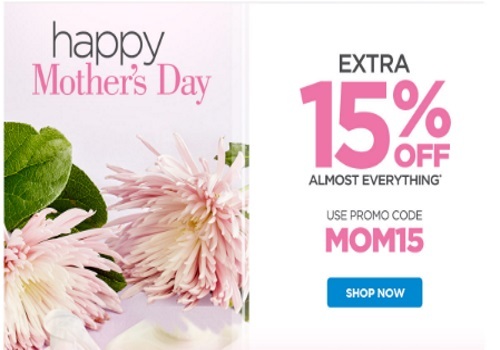 The Shopping Channel is offering 15% off almost everything today to celebrate with the promo code below! Enter the promo code MOM15 at checkout to get the discount. Offer ends at 9:59pm ET on May 8 2016. Click here to brows The Shopping Channel.